It is with great sadness we announce the passing of Marilynn on April 6, at the age of 79 after a battle with cancer. She is survived by Larry, her husband of 56 years and children Laurie (Dale), Shelley (Anthony), Shayne (Andrea) and Allison (Tyler) and her grandchildren Broydon, Jacob, Samantha, Tayllor, Carissa, Erika, Abby, Ross, Danielle, Elias and Owen. She is also survived by her brother Gerald Washington, nieces and a nephew. Marilynn was born and raised in Summerland, BC, and attended university in Victoria. Prior to settling in Kamloops in 1965, she enjoyed teaching in both Gibsons and Penticton. For the last 30 years she enjoyed living with a beautiful & peaceful view of Heffley Lake. Her two great passions were family and quilting. After dedicating many years to raising her children Marilynn branched out into quilting and found a great love for it. Her quilting journey started off with the Sagebrush Quilters Guild. 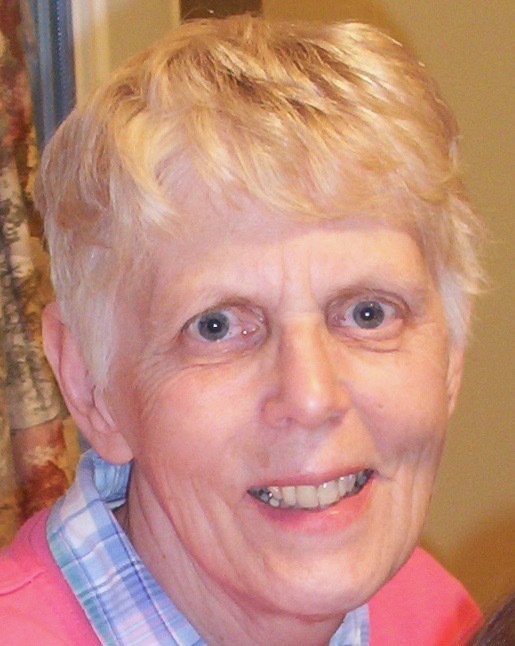 She was a devoted member of the Rivervalley Quilters for many years and was instrumental in organizing quilt workshops, patterns and labels for premature baby quilts. Marilynn organized several quilt shows over the years as well as teaching classes that influenced hundreds of quilters. She served as chair person for three quilt groups and often served as program chair person. Additionally she was one of the founding members of the Royal Inland Hospital Quilters, who did fundraising with quilts and quilted crafts. Being so active in the community, she was loved dearly by her many friends. Marilynn will be greatly missed. We would like to thank the Marjorie Willoughby Snowden Hospice for their wonderful care and compassion. In Marilynn’s memory a donation can be made to the Marjorie Willoughby Snowden Hospice or the Kamloops SPCA. A gathering to celebrate Marilynn will be held at a later date. Dear Bunny, my first and longest-time friend. Thanks for keeping in touch over the years. I miss you. Much love and condolences to Larry, and your precious family. Aww Mrs. K you were such a great lady! I spent so much time with Allison and you all welcomed me always…to church, camping, skiing trips and helping me with knitting tips. My heart goes out to your family as this is such a huge loss for all, my deepest condolences. Prayers, love and hugs to you all, may all the wonderful memories of her comfort you and warm your hearts!